The Gallische Hoeve (Gaul Farm) was an idea by Raymond Van Horebeek who wanted to start a scientific project with a social dimension: working with volunteers, adolescents, unemployed, impaired et cetera. People learn to cooperate with others with a very different background. An association (VZW) was started and specialists (architect, archaeologists) were found. Money was found as well as a piece of land, know-how on construction works came from Wouter Schalck and a team previously employed at Archeon (NL). The house plan was made available by Prof. Jean Bourgeois, Gent University and came from an excavation at the Waasland in Flanders. There are also connections to the “Provinciaal Archeologisch Museum (PAM). Goal is to build and manage a scientific reconstruction of a farmer’s settlement form the Late Iron Age. 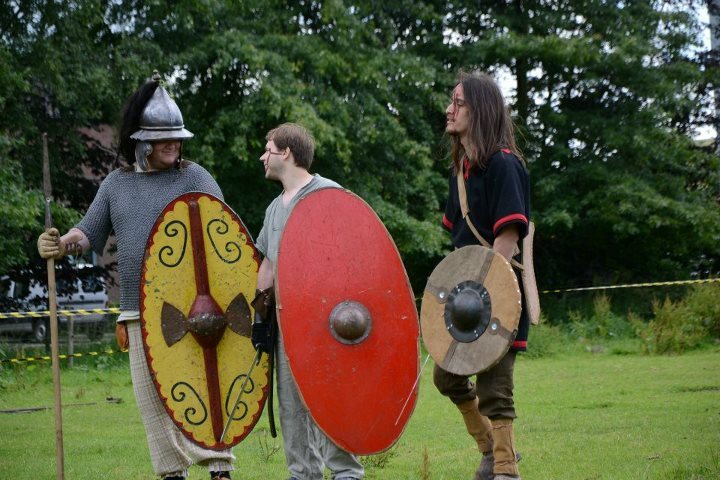 Information is prepared for the public at large about Iron Age cultures and the world of the Celts. The instruments used are living history, publications, presentations, guided tours and events at the Gallische Hoeve. 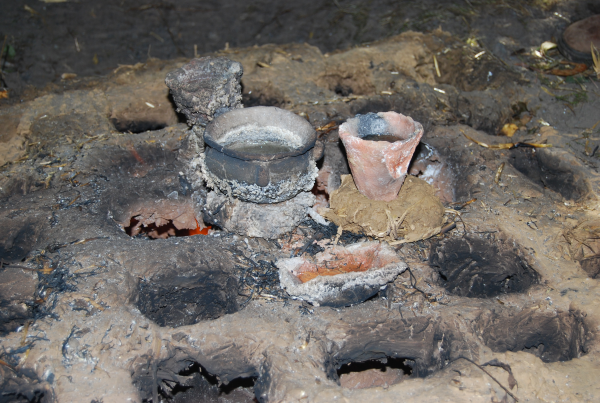 Experimental archaeology is used to produce new knowledge. The project also has social and ecological aspects. Themes are: textiles, musical instruments, weapons, working leather and making food. Angela has a bachelor degree in history and is currently working on a Masters in archaeology and art history at the VUB in Brussels, Belgium. Her bachelor's focus was on the interaction between crafts as intangible heritage and experimental archaeology in Belgium. 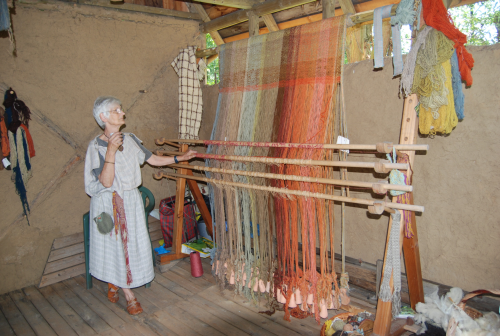 She is a tour guide at the Gallische Hoeve specialising in culture, ecology and textile production. David De Clercq is a student history in Ghent. He handles most of the contact and activities.